Sometimes, there are just days I can't decide for the life of me what to make for dinner. These days typically involve a phone call to the hubby asking if he has any ideas. More often than not, he doesn't, but occasionally, he'll throw an idea or two out there that at least gives me a place to start. Such was the case with this meal. He suggested soup (and something else I can't remember, I'm such a good listener). I had zero desire to go to the store to pick up a few odds and ends, which unfortunately left me little to work with. I had plenty of chicken broth, but hardly any veggies. I didn't have sufficient pasta, nor the desire to spend a ton of time on prep work. Gah. Maybe soup wasn't the greatest idea. Until I remembered I had a huge hunk of sharp American left over from my Cheesy Corn Bake. A little more rummaging scared up some Velveeta. So something cheesy. I haven't had Broccoli Cheese soup in what seems like forever. It used to be my go-to soup every time I went to Panera, or any other type of deli-ish place and was craving soup. Then I burned out on the filling, cheesy soup. After years of a self-imposed hiatus from the soup, I decided it was time to give it another chance. At the very least, we'd have dinner without a trip to the store. In a large stockpot, melt the butter over medium heat. Add onion, cook for 5 minutes, stirring occasionally. Add garlic, and cook for an additional 2 minutes. Add broccoli and chicken broth, simmering until broccoli is tender, 10-15 minutes. Reduce heat to medium-low, stir in cheeses. Continue stirring until all the cheese is fully melted. 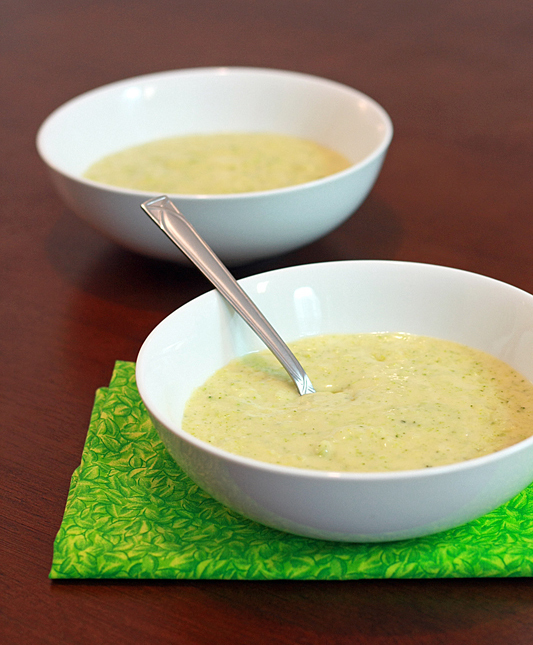 Using an immersion blender (or carefully transferring soup to a blender in batches), puree soup to desired consistency. Meanwhile, fill a liquid measuring cup with milk. Whisk in cornstarch and garlic powder until no lumps remain. Heat milk mixture in microwave 30 seconds, or until lukewarm. Pour mixture into soup, stirring, until thick. This is definitely not your light and dainty soup -- no, this is your hearty, fill-you-up, keeps-you-full-for-hours soup. 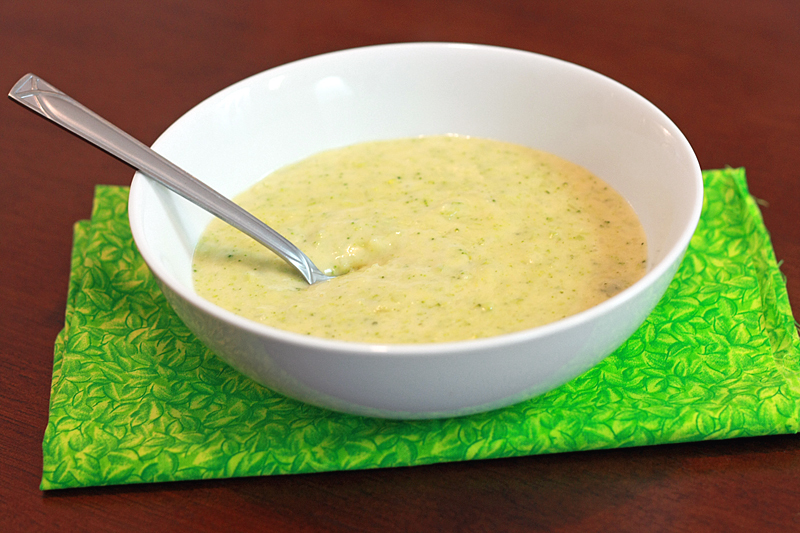 I'm not a huge fan of overly chunky Broccoli Cheese soup, so I opted to puree mine down (not complete smooth, but almost), although you certainly don't have to if broccoli chunks float your boat. This soup also comes out very thick, just the way I like. Once again, if you like yours more on the thin side, simply add less cornstarch. 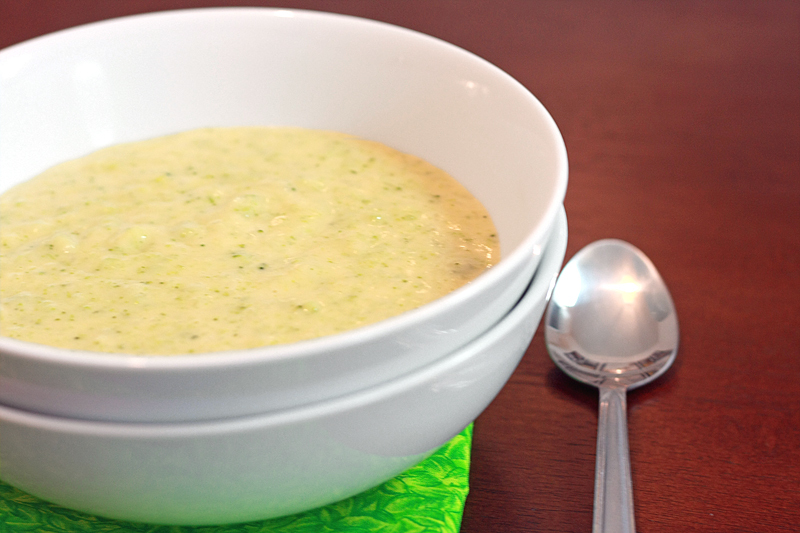 While Broccoli Cheese soup still isn't something I'm going to be craving all the time, at least now I have a recipe for when I do! As I mentioned yesterday, I have been on a quest to clear out my freezer to be able to have room for my ice cream maker. Best of intentions, yes, my pants are fully aware. Due to this massive clean-out, I found myself with lots of protein-only entrées. My usual go-to in this situation is a bag of lettuce and some salad dressing. Nothing too fancy, obviously. However, since all I had to do with the ribs I re-discovered was pretty much stick them in the oven to reheat, I figured I could put a little more work into my side dish. Adam is from Kansas City, and fiercely loyal to their barbecue style. One of his favorite places to go when we visit his parents is Jack Stack. 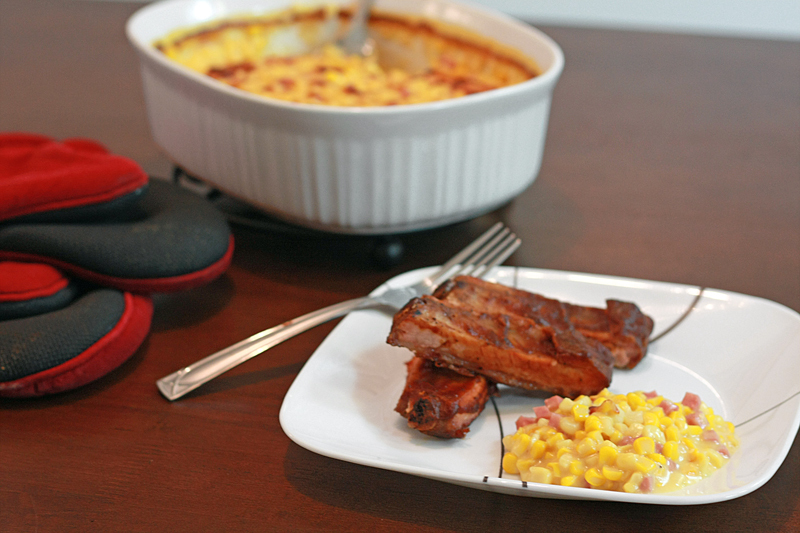 It's almost always a full slab of ribs and some sort of combination of sides -- one always being their cheesy corn bake. Now their cheesy corn bake is fantastic, so trying to replicate it at home was kind of a dicey move. I usually try and stay away from doing restaurant replicas at home since, oh, that's why we go to the restaurant in the first place (and on the off chance that my re-creation is better, well, that just ruins the whole restaurant experience for me). However, I will make exceptions when it comes to restaurants we just don't have access to, like Jack Stack. For me, this was more about giving Adam a taste of home, rather than just trying to duplicate a favorite dish. Preheat oven to 350 degrees F. Coat a 2 quart baking dish with cooking spray. In a large saucepan, melt butter over medium heat. Whisk in flour and garlic powder. Add milk and cook until thick and bubbly, stirring frequently. Add cheeses and reduce heat to medium-low. Stir until cheeses melt. 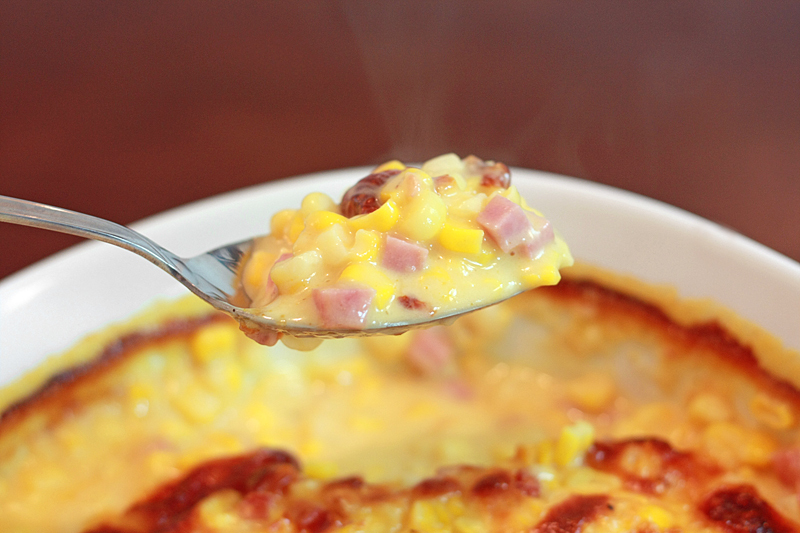 Add corn and ham to pan and stir until coated with cheese mixture. Pour corn mixture into baking dish. Bake for 45 minutes. Allow to cool for 10 minutes before serving. And surprise, surprise, Adam actually ended up liking this better than the original. 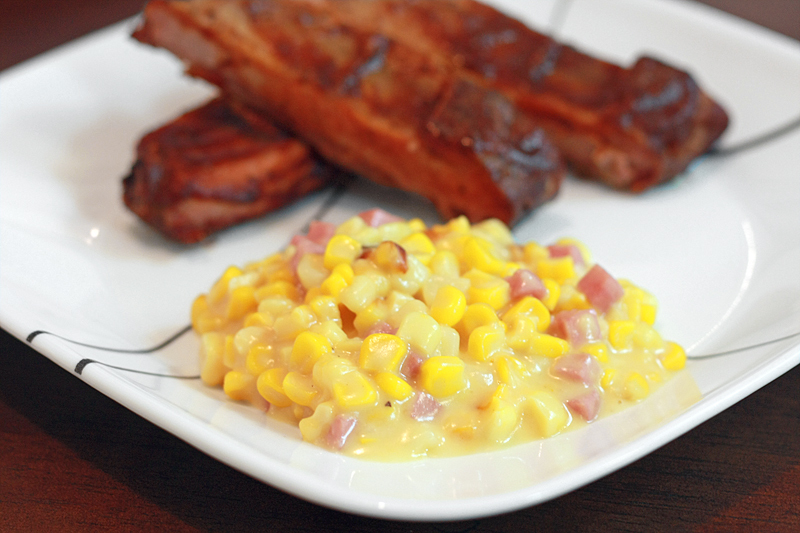 I have to admit, I was a little more partial to this recipe as well, mostly because I feel the corn is a bit crisper, rather than leaning towards the mushy side. I was a little skeptical when I saw the recipe called for sharp American cheese. American? Not really the cheese I would have gone with. Then I tasted it, and it was worlds away from those Kraft prepackaged singles. Note: I found sharp American at the deli counter, and I do think it's important you use sharp, not regular American. 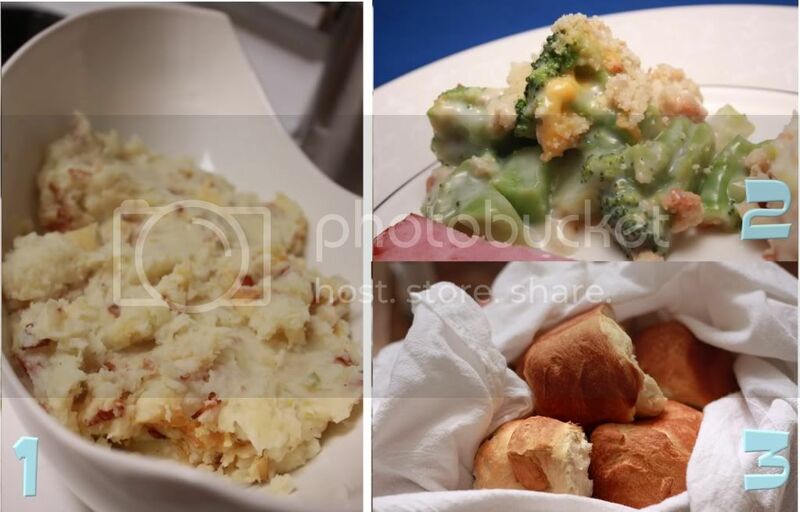 I can definitely be sure that this side dish will be showing up again at some point or other. I'm finally back! I have to admit, it was a tough week without my computer, even though I was borrowing the hubby's. There's just something about having my own stuff with all my files and programs. Although heading down to my parents for the weekend made it about a 100 times better since I had chunky baby cheeks to pinch and a three-year-old's birthday party to help throw. And of course I had to forget my camera, so I have no pictures. Sad day. 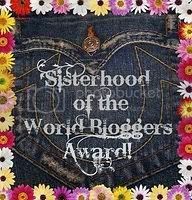 Once my power cord died and I realized there would be no editing and uploading of pictures, I decided to completely take the week off from blogging. There were other things piling up for me to do, so I decided to take advantage of my power-cord-failure-imposed time off and get a few of those done, or at least make some progress on them. However, before I essentially skedaddled out of the kitchen for a week, I did happen to try my hand at a quick and easy veggie side dish. One of my goals as of late is to get my freezer cleaned out. Not really for any budget or old food reasons -- nope, I simply want to be able to fit my ice cream maker in there. It's starting to get warmer and warmer out (oh so gradually, but it is) which is only making Adam and I crave some ice cream. After throwing out several nasty looking freezer-burned foods, I came across a couple easy entrées and decided that I could actually maybe try my hand at a side dish since the main dish was almost no work at all. Using a vegetable peeler, shave asparagus spears into long thin shavings. 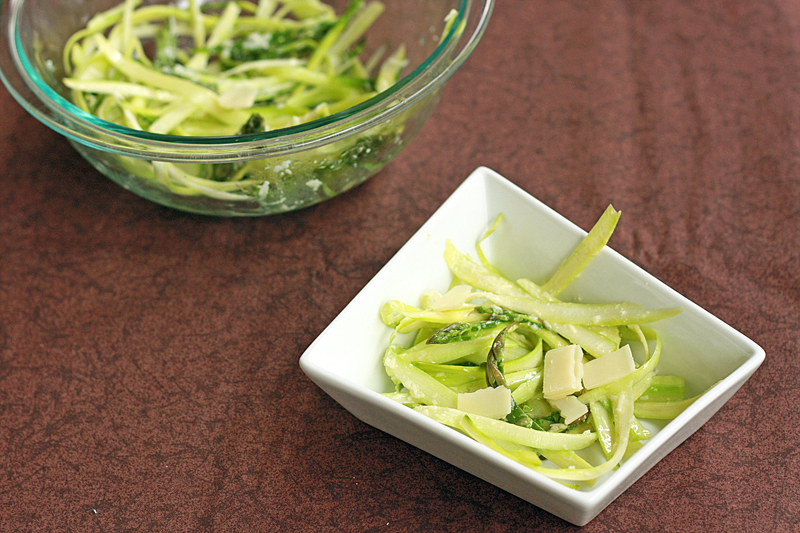 Place shavings and asparagus tips in a medium bowl. In a small bowl, whisk together the grated Parmesan, lemon juice, and olive oil until well blended. Whisk in salt and pepper. Drizzle vinaigrette over asparagus, tossing to coat. Serve with shaved Parmesan. 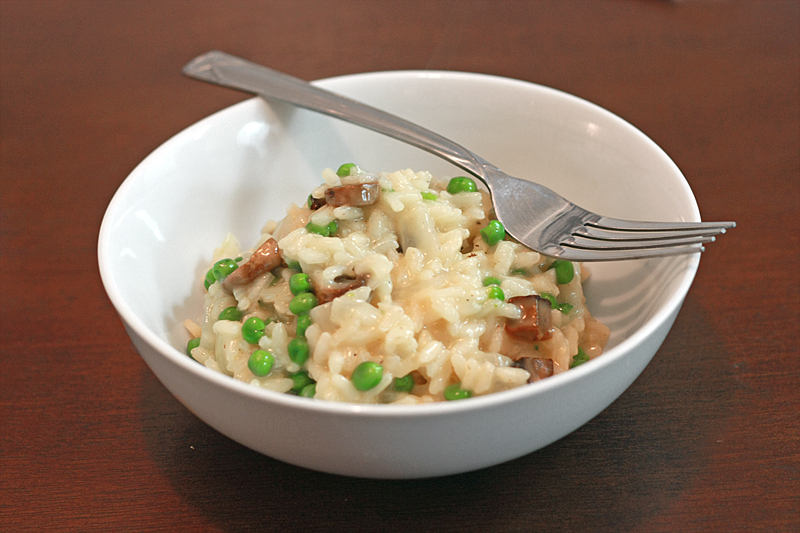 This side dish fit the bill for quick and easy, exactly what I was going for last week. The vinaigrette takes about 2 minutes to put together, and there is zero cooking, baking, or heating of any kind involved. Win. The asparagus spears are a little unwieldy at first when you start peeling them, but once you have a rhythm figured out, it goes by pretty fast. 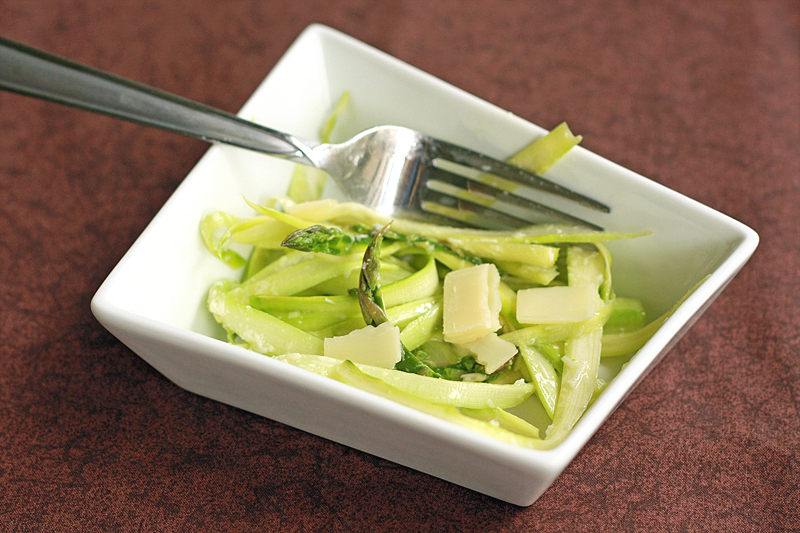 I was a little hesitant at first with this recipe -- eating raw asparagus? That just sounded odd, something I'd never done before. But surprisingly, it works. The trick is to use the vegetable peeler rather than a knife so you have super thin shavings. 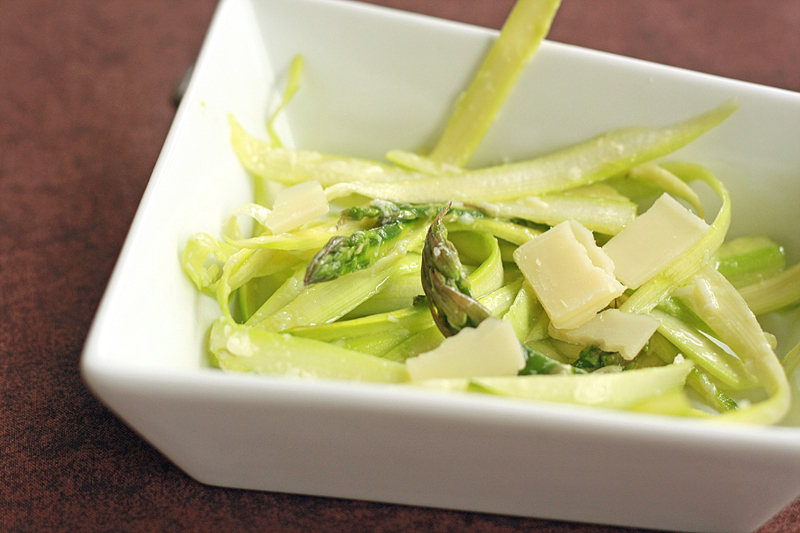 Despite being drizzled in a vinaigrette, the asparagus remains bright, fresh, and crispy. Definitely something out of the ordinary rotation of steamed or roasted veggies, and perfect for spring. I can't believe Easter is already here. I keep thinking "oh Easter comes really late this year", and suddenly, it's "really late". Time to rustle up some recipes for that infamous Easter dinner. First things first. You have to start the day out right with a good breakfast. 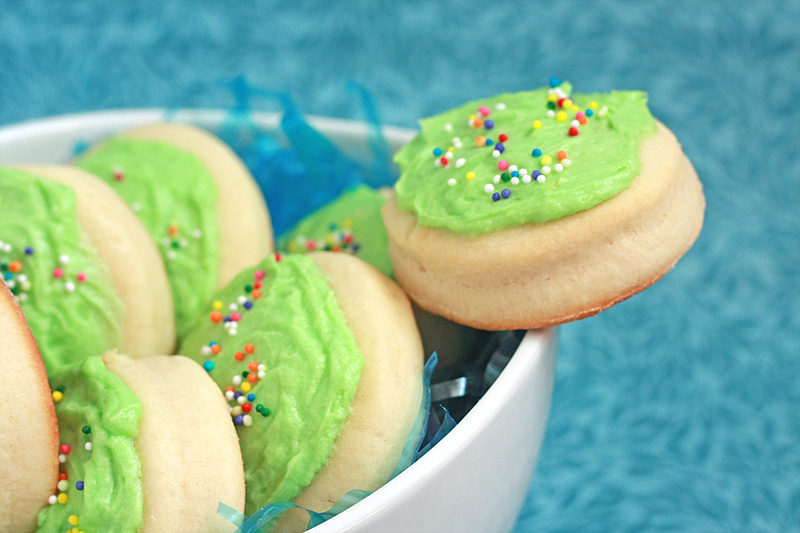 Because it's not like you're going to be chowing down on chocolate bunnies and sugary egg candy later. Um, yeah. Note, I said "good breakfast", not "good for you breakfast". This might take a few more minutes to put together in the morning, but let me assure you -- it can be done before church, and it is completely worth it. Just don't do the flipping of the rolls in your Sunday best. 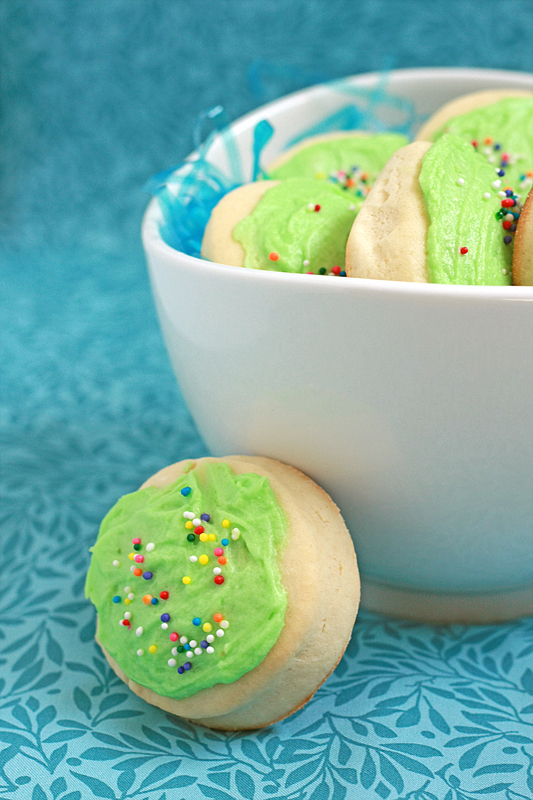 Now that we have breakfast out of the way, let's talk Easter dinner/brunch/lunch/whatever. We always go the traditional ham route, although you certainly don't have to. 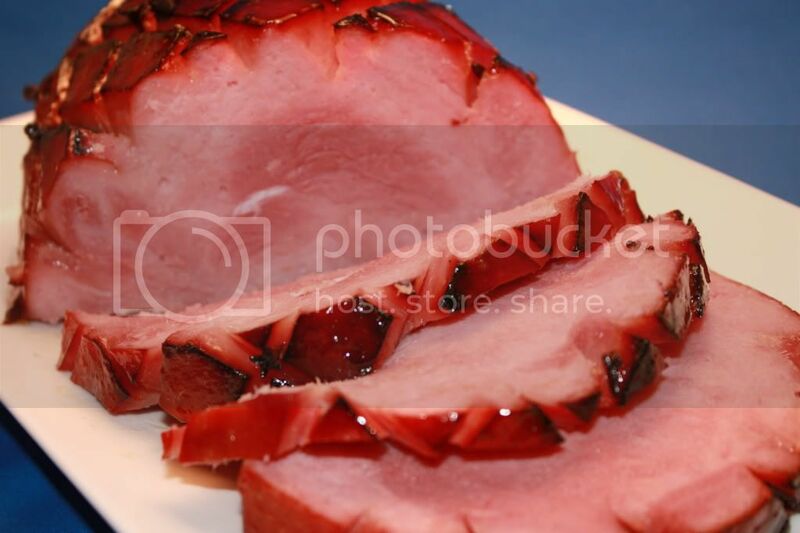 If you're into splurging on some Honey-Baked Ham, I say go for it, one less thing for you to worry about. I, myself, don't like to spend an arm and a leg on something that's fairly easy to make and tastes almost the exact same. I mean, we're not talking turkey here, these babies are already cooked, all we're really doing is re-heating and flavoring. Last but never least, are the desserts. Sure the kiddos get the baskets full of jelly beans and Reese's eggs, but what is there for the adults? Well, unless you happen to make yourself a basket with that random assortment of Easter candy that just happened to fall into your cart at the grocery store... but I digress. A dessert is still needed in order to finish out this fantastic meal. Note:The power cord for my laptop as decided to die on me, thus I am unable to access my pictures and editing software until my new one arrives. Unfortunately, this means no new posts until then. :( (And I will most definitely fix those dang dessert pics once I'm able to upload it to my FTP site rather than a free photo site). 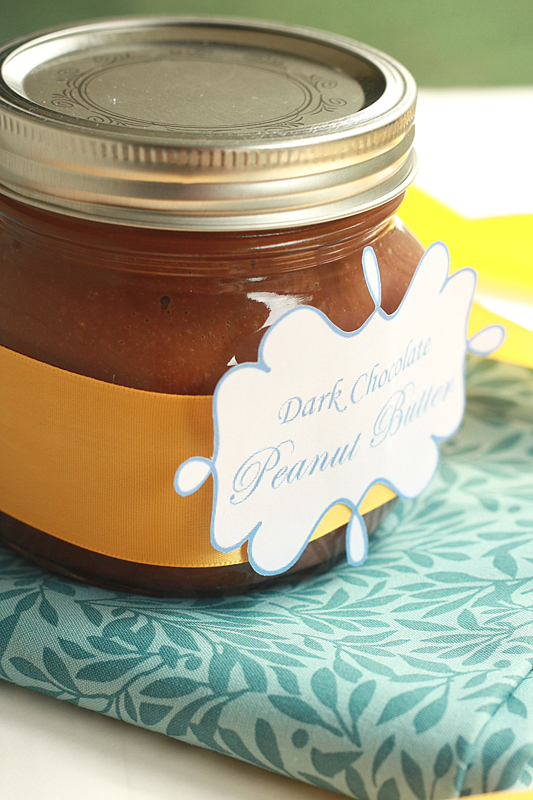 Pretty much as soon as I made my Dark Chocolate Peanut Butter I knew exactly what I wanted to do with it. Which is weird, seeing as I'm not a huge muffin person. 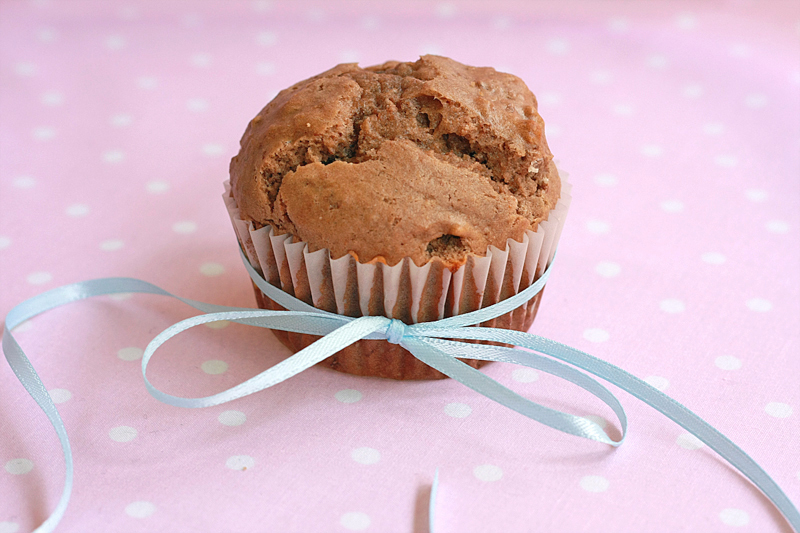 But there was just something inside my head insisting that my new peanut butter would be fantastic in a muffin. With bananas. Which aren't exactly my favorite fruit. Odd again. But I made those muffins anyways. And even stuck some bananas in there for good measure -- I mean it is a breakfast food after all, might as well get some fruit in there. While they were baking all I could smell was the peanutty goodness coming out of my kitchen. I might have drooled a little. Let me tell you, it was painful letting these beauties just sit there cooling. Mocking me. Then I ate one. Ha, take that muffins. 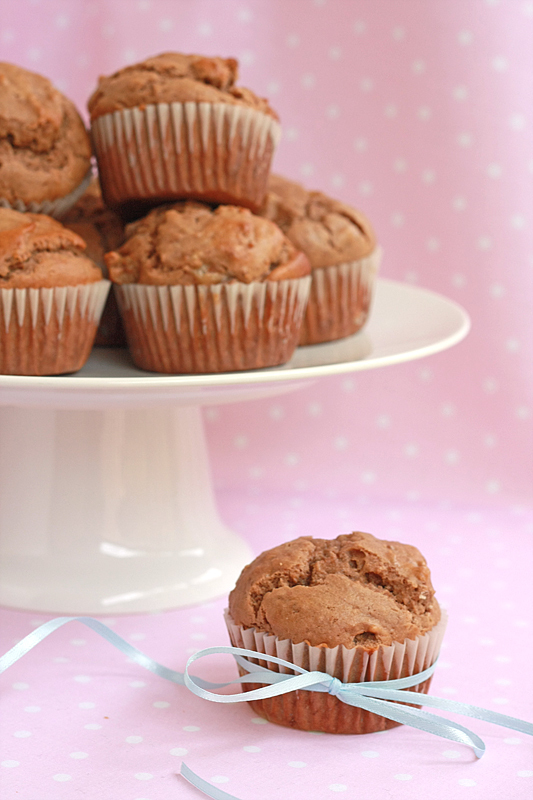 I'm not sure I'll even tell the hubby I made these, just bury them deep in the freezer for me to eat at my leisure. 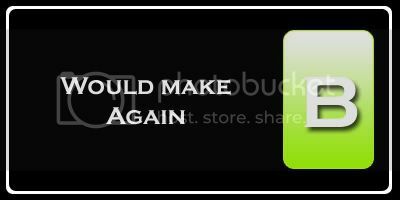 Now that, my friends, is an excellent idea. Preheat oven to 400 degrees F. Line (or grease) a muffin tin; set aside. 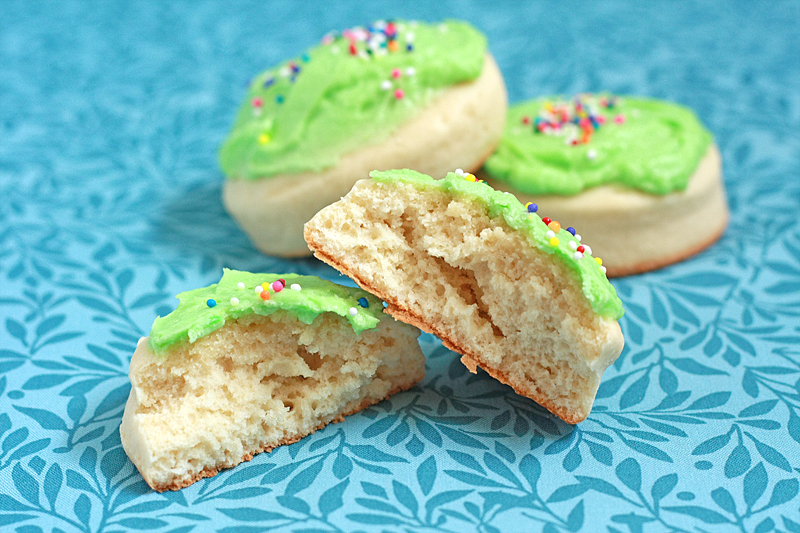 In a large bowl, combine flour, granulated sugar, brown sugar, baking powder, and salt. 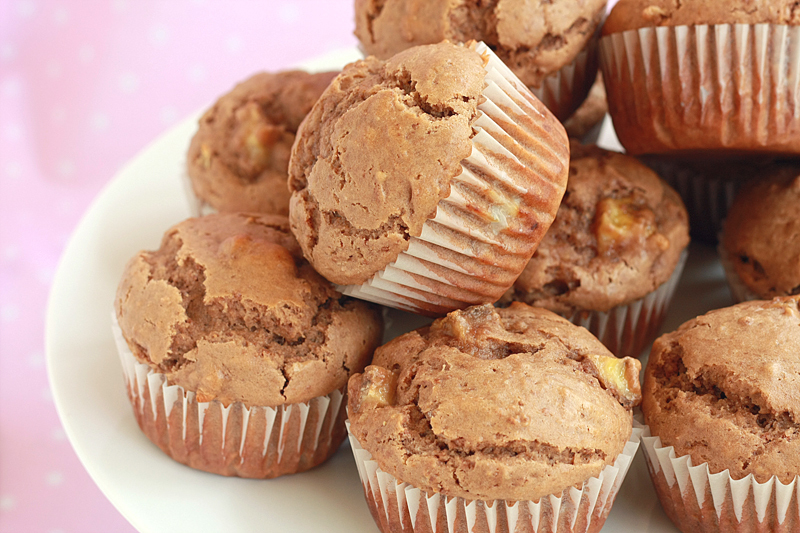 Using a pastry blender, or two knives, cut in the peanut butter and butter until the mixture resembles coarse crumbs. In a small bowl, lightly beat the eggs. Stir in the milk. Pour the egg mixture into the dry ingredients and stir until all the ingredients are moistened. Gently fold in the bananas. Fill the muffin tin about three-quarters full. Bake for 15-17 minutes, or until a wooden toothpick inserted comes out clean. Let cool in pan 5 minutes, then transfer to a rack to cool completely. 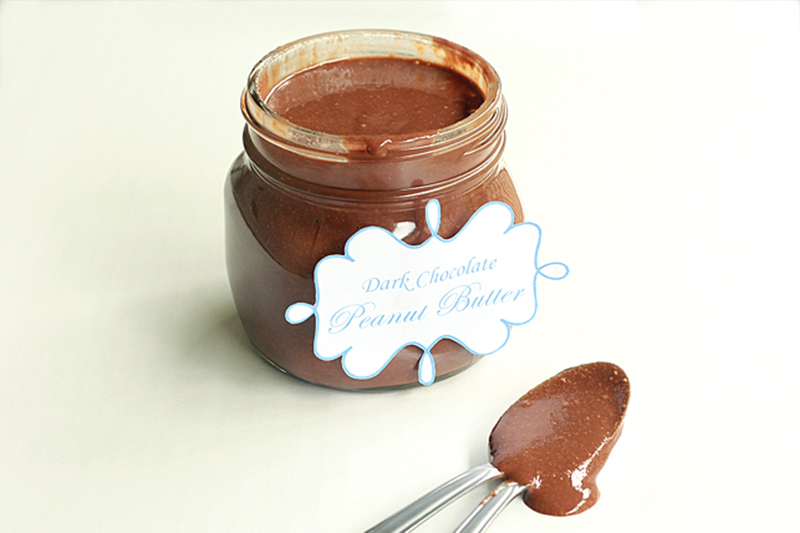 *You can substitute regular peanut butter here with 2 ounces dark chocolate melted and stirred in. It's that time again! So far I've turned Dark Chocolate Cupcakes with Oreo Raspberry Glaze into Chocolate Dipped Chocolate Raspberry Cupcakes, Penne Alla Vodka into Creamy Penne Alla Vodka, and some Spicy Garlic Lime Chicken into Spicy Garlic Lime Chicken Handpies. Up next on the list are what I proclaimed to be the most amazing burgers ever -- Ginger Teriyaki Burgers. 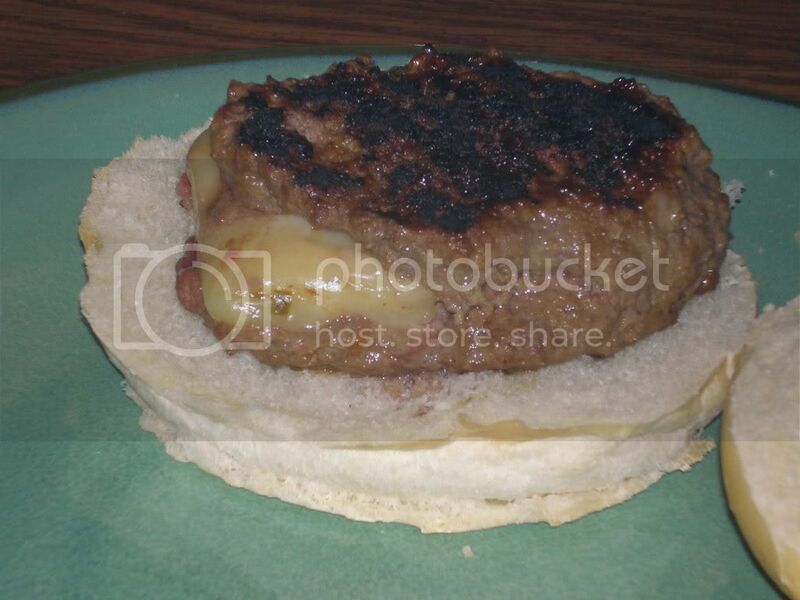 These burgers were not only made out of beef with a ginger teriyaki sauce mixed in, but also had a slice of pepper jack cheese nestled in the middle. Yum. Although today, I probably wouldn't label them as the "best burger ever", but they are pretty good. I think I was just so excited that I actually came up with my first truly unique recipe. When it came to re-creating this dish, I knew right away I wanted to switch from ground beef to ground turkey to let the flavor of the sauce come through a bit more. While they go well together, the beef has a heavy enough flavor on its own that it somewhat overpowers and mutes the sauce. This time around I wanted that sauce to shine. As I kept turning this recipe over in my mind trying to figure out how to change it, I decided I wanted to have it lean more towards Asian-inspired rather than American. I used the classic Char Siu Bao (Chinese BBQ pork buns) as an inspiration to wrap the flavored turkey inside a bun rather than between two halves of one. And it is so.good. 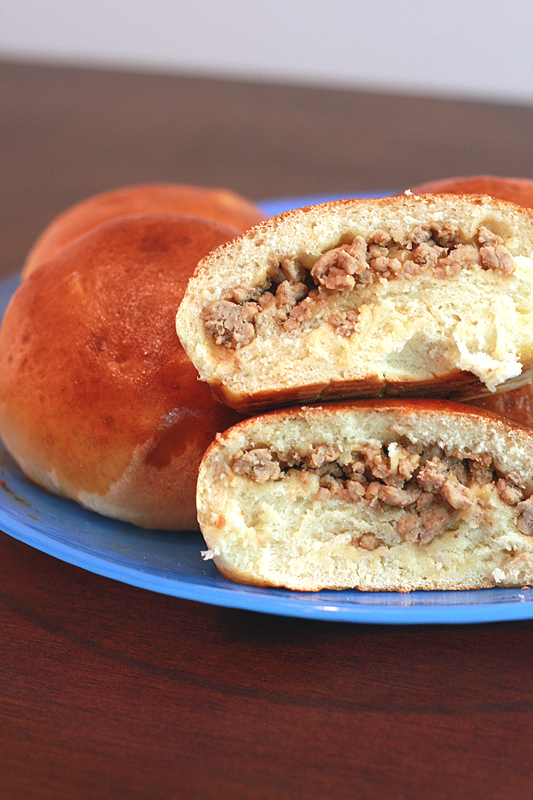 I love that the buns are slightly sweet while the sauce reminds me of hibachi grill restaurants that I love so much. In a large bowl, stir together 2 tablespoons sugar and hot water. Let sit until sugar has completely melted (may need to put in the microwave for a few seconds). Add oil and milk. Allow mixture to cool to 110-115 degrees F. Add yeast and stir well. Cover with a towel and let sit for 10 minutes in a warm, draft free spot. Mixture should be foamy on top when ready. Meanwhile, brown the ground turkey in a large skillet over medium heat until no pink remains. Remove from heat & drain. Combine the onion and next 5 ingredients (through Teriyaki sauce) in a food processor. Process until smooth. Pour sauce over ground turkey, tossing to make sure all the turkey is coated. Divide dough into 6 equal portions. Flatten each section into a 4-5 inch round, leaving the center thicker. Add about 2 2/3 ounces (about 4 tablespoons) filling to the center of each disk, then fold the ends over each other. Seal the seams well. Place buns seam-side down on the baking sheet. 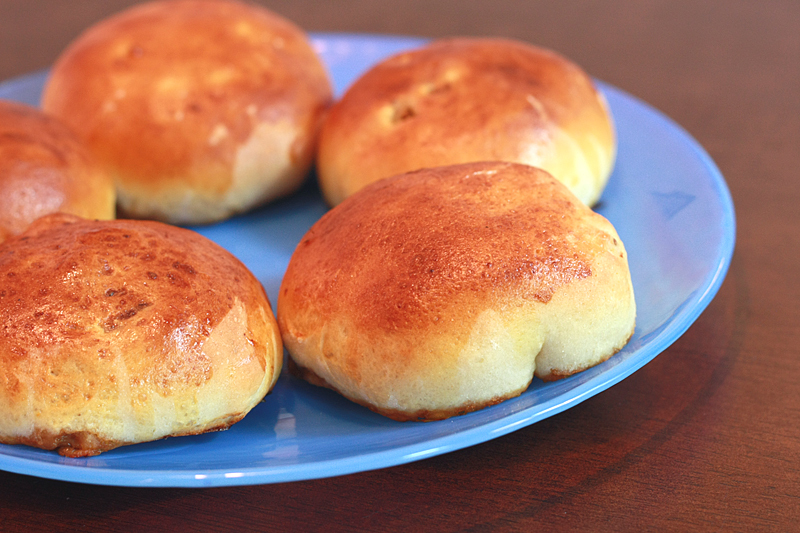 My first attempt at these sweet little buns was a disaster. Actually, I think it was my first failed yeast dough. After 2+ hours the dough had barely risen, definitely not "tripled in size" as it was supposed to. And of course, it was well past time we should have eaten, sooo it ended up being pizza night. But I knew this was the way I wanted to go, not to mention I still had turkey sitting in the fridge. A few nights and a new recipe later, and we had success. 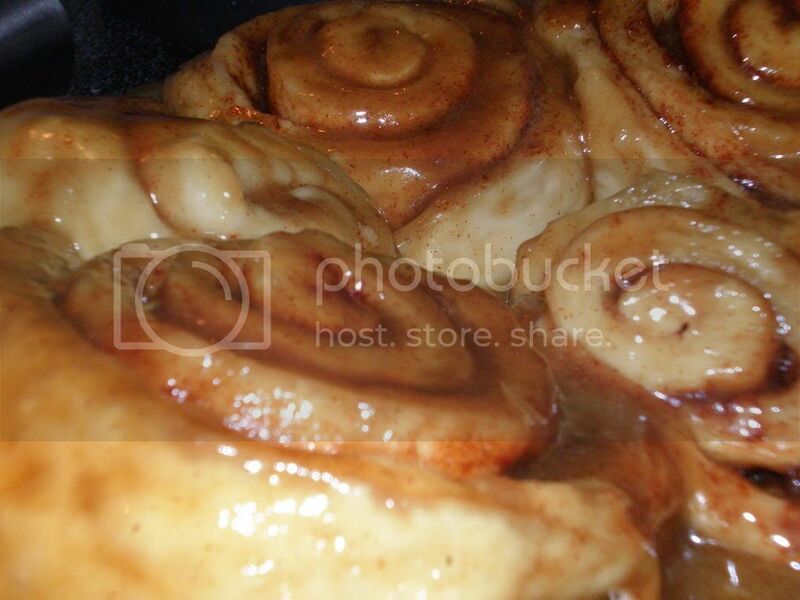 I was a little hesitant with using the recipe I did as it had such a short rise time compared to the other recipes I had come across, but trust me, it works. You could also go the steaming route, which seems to be a bit more popular with Char Siu Bao, but seeing as I don't have the right equipment, baked it was. 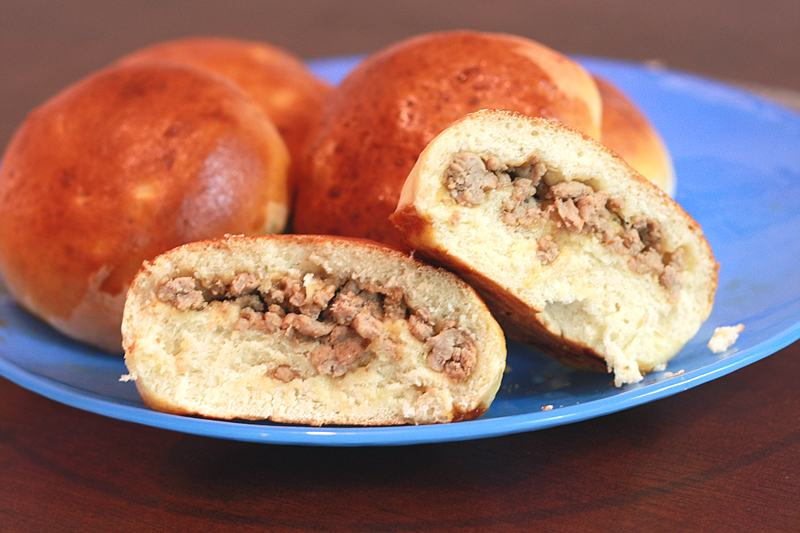 (And anyways, I think the baked version replaces hamburger buns a little better.) Either way, these will be delicious. I have a soft spot when it come to Puerto Rican food, I don't know why. 9 times out of 10 I stay away from greasy fried food but when it happens to come from Puerto Rico, I'm all over it. Can we say alcapurrias and tostones? There's just something about the flavor of the food that I just can't get anywhere else, well, especially with where I live now (let's be honest, I'm still searching for a good Mexican restaurant). Not all Puerto Rican food is fried. In fact, one of my favorite dishes ever is the Puerto Rican version of Arroz con Pollo, which is just a simple rice and chicken dish. Most of the Puerto Rican food I've attempted in the past I've had before, either in Puerto Rico or cooked by my old roommate who is from there. This was a first for me. 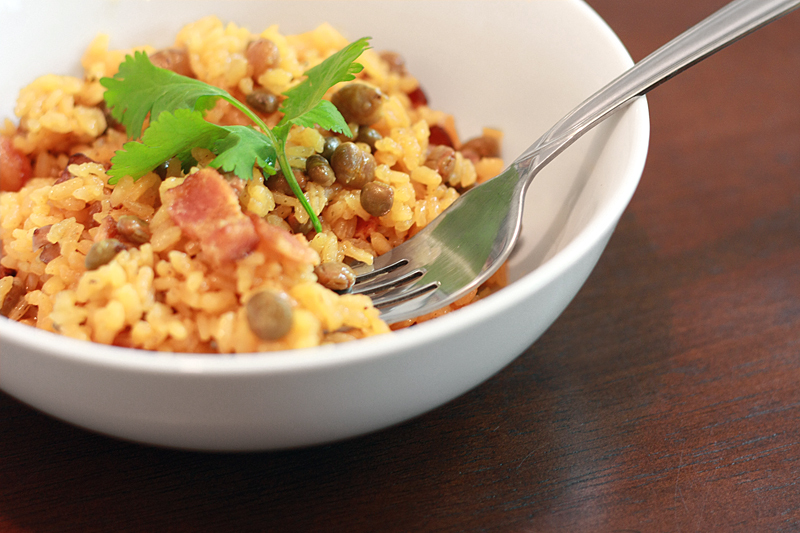 I'm not sure how I ran across this recipe, or one like it, but it inspired me to go out and buy a can of pigeon peas with the thought that I would make this some time in the distant future. But that can just sat there and tormented me. Every single time I opened my pantry. I held off though, as my imported-straight-from-Puerto-Rico-through-my-friend-sofrito supply is starting to dwindle. Then came last night. I realized I hadn't checked my dinner recipe close enough and it needed hours for dough to rise. Yeah, not happening. What did I have? 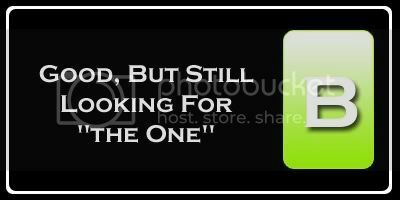 Or better yet, what did I feel like? And then there was the can. All I needed was bacon, easy to do as the husband goes right by the grocery on his way home. Done. Totally not a decision I regret. In a dutch oven (or large pot), cook the bacon over medium heat until done, but not crisp. Remove from pan and crumble. Discard all but 3 tablespoons of bacon drippings. 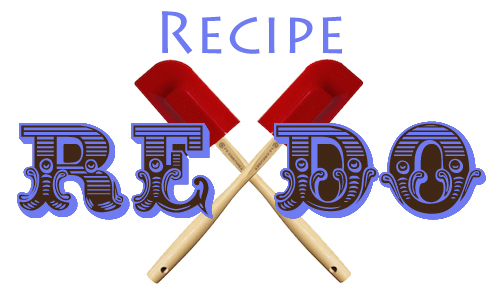 (If you do not have 3 tablespoons of drippings you can substitute with vegetable oil.) Add all the ingredients (including crumbled bacon) to the dutch oven, giving it a quick stir. Do not stir after this point. Turn heat to medium high and bring to a boil. Allow water to be absorbed (no water remaining on top of the rice), give a gentle stir, then cover and reduce heat to low. Cook in 10 minute increments, checking to see if the rice is done after each. 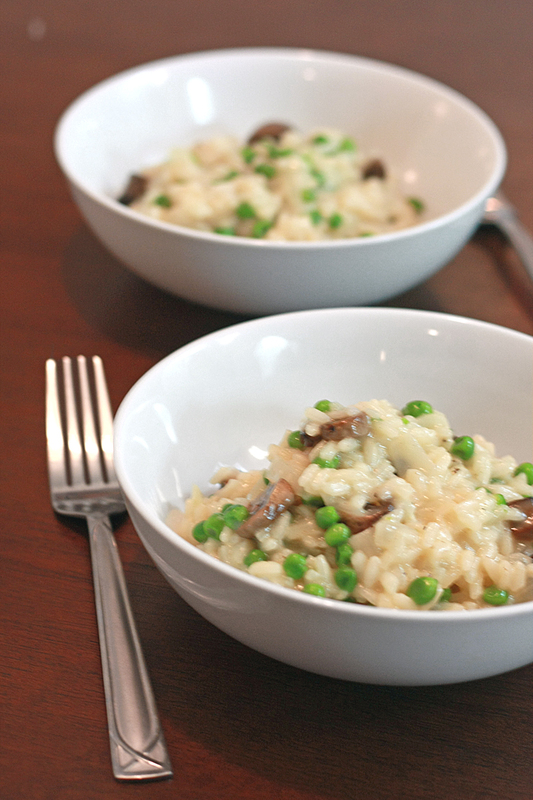 There are variations upon variations of this recipe, so I just picked and chose the parts I liked. You could easily add capers, olives, onions, or even tomato sauce. Or substitute out the bacon for diced ham or salt pork. Any way works. 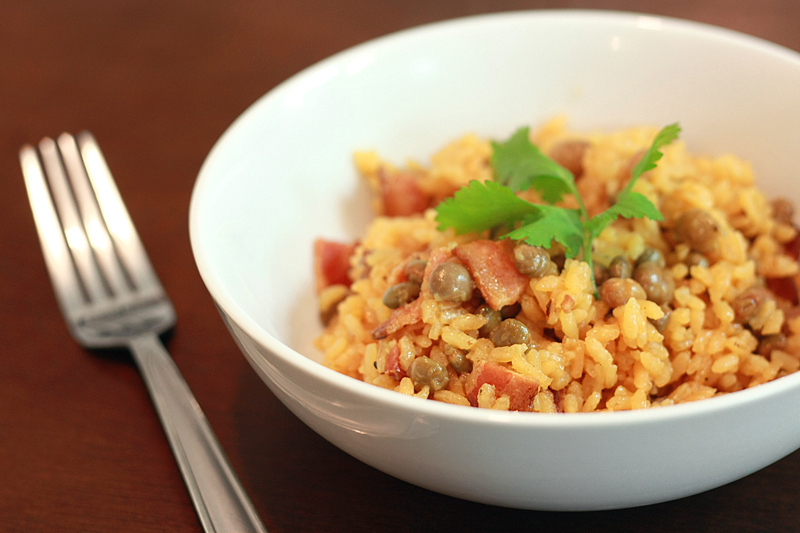 It's the sofrito, rice, sazón, and pigeon peas that make the basis for this dish. All of the recipes I came across call for vegetable oil to be used in lieu of the bacon drippings, but I decided to go with what I already had going on. 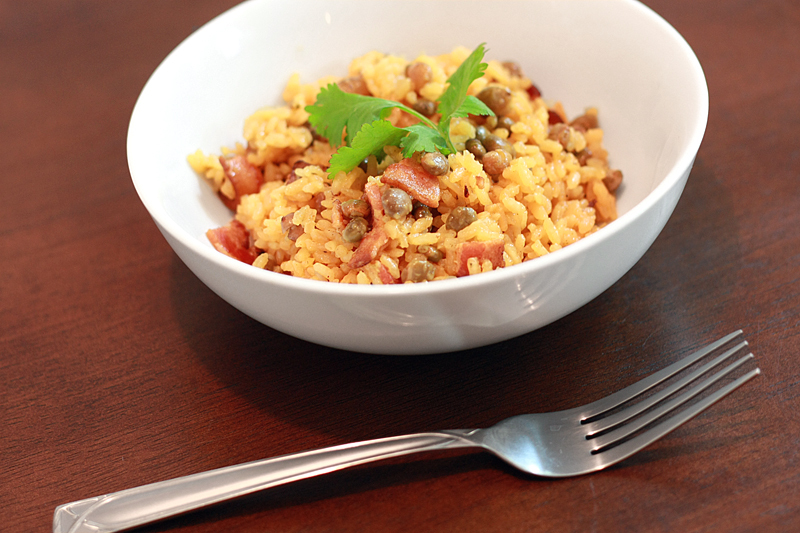 I think using the bacon drippings gives the rice and pigeon peas a nice subtle smoky flavor that you wouldn't get otherwise. And let me tell you -- De-licious. Oh, and don't worry if you get some crispy rice on the bottom of your pan -- it's supposed to happen and can actually be tasty. 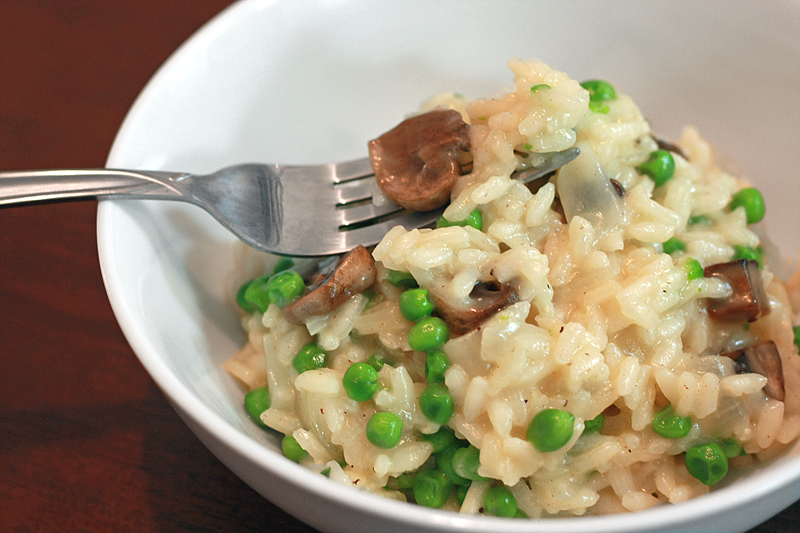 I'm not sure I like this dish quite as much as my beloved Arroz con Pollo, but it sure ranks up there pretty high.